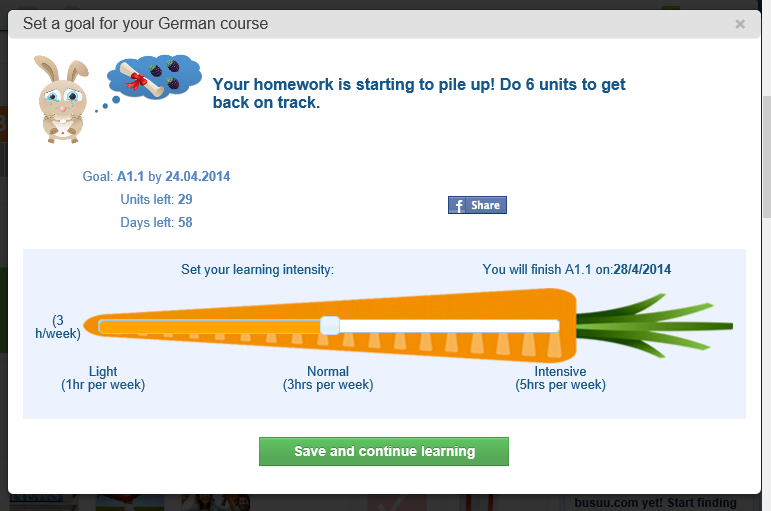 Adaptive learning is likely to impact on the lives of language teachers very soon. In my work as a writer of education materials, it has already dramatically impacted on mine. This impact has affected the kinds of things I am asked to write, the way in which I write them and my relationship with the editors and publishers I am writing for. I am as dismissive as Steve Jobs was of the idea that technology can radically transform education, but in the short term it can radically disrupt it. Change is not necessarily progress. Teachers and teacher trainers need to be very alert to what is going on if they don’t want to wake up one morning and find themselves out of work, or in a very different kind of job. The claims for adaptive language learning need to be considered in the bright light of particular, local contexts. Teachers and teacher trainers can even take a lesson from the proponents of adaptive learning who rail against the educational approach of one-size-fits-all. One size, whether it’s face-to-face with a print coursebook or whether it’s a blended adaptive program, will never fit all. We need to be very skeptical of the publishers and software providers who claim in a TED-style, almost evangelical way that they are doing the right thing for students, our society, or our world. There is a real risk that adaptive learning may be leading simply to ‘a more standardised, minimalist product targeted for a mass market, [that] will further ‘box in’ and ‘dumb down’ education’ (Selwyn, Education and Technology 2011, p.101). There is nothing wrong, per se, with adaptive learning. It could be put to some good uses, but how likely is this? In order to understand how it may impact on our working lives, we need to be better informed. 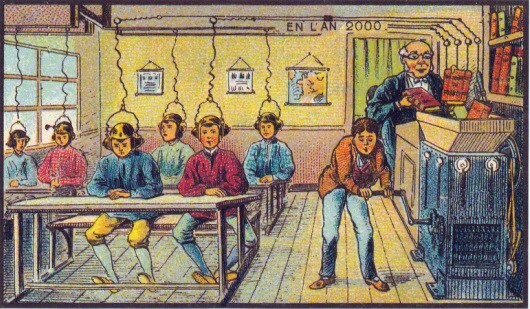 A historical perspective is often a good place to start and Larry Cuban’s Teachers and Machines: The Classroom Use of Technology since 1920 (New York: Teachers College Press, 1986) is still well worth reading. 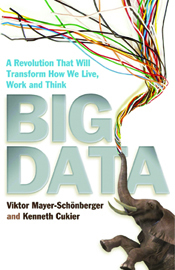 To get a good picture of where big data and analytics are now and where they are heading, Mayer-Schonberger & Cukier’s Big Data (London: John Murray, 2013) is informative and entertaining reading. If you are ‘an executive looking to integrate analytics in your decision making or a manager seeking to generate better conversations with the quants in your organisation’, I’d recommend Keeping up with the Quants by Thomas H. Davenport and Jinho Kim (Harvard Business School, 2013). Or you could just read ‘The Economist’ for this kind of thing. If you want to follow up the connections between educational technology and neo-liberalism, the books by Stephen Ball (Global Education Inc., Abingdon, Oxon: Routledge, 2012), Neil Selwyn (Education and Technology, London: Continuum, 2011; Education in a Digital World, New York: Routledge, 2013; Distrusting Educational Technology, New York: Routledge, 2013), Diane Ravitch (Reign of Error, New York: Knopf, 2013) and Joel Spring (Education Networks, New York: Routledge, 2012; The Great American Education-Industrial Complex with Anthony G. Picciano, Routledge, 2013) are all good reads. And keep a look out for anything new from these writers. I’ll be continuing to post things here from time to time! Thanks for following me so far. Jobs, however, did set his sights ‘on the $8 billion a year textbook industry, which he saw as ‘ripe for digital destruction’. His first instinct seems to have been to relieve kids from having to carry around heavy backpacks crammed with textbooks: ‘The iPad would solve that,’ he said, ever practical’ (Fullan, Stratosphere 2013, p.61). Adaptive learning is a product to be sold. How? Indeed. But it all depends on what, precisely, the content is – a point I will return to in a later post. For the time being, it is worth noting the prominence that this message is given in the promotional discourse. It is a message that is primarily directed at teachers. It is more than a little disingenuous, however, because teachers are not the primary targets of the promotional discourse, for the simple reason that they are not the ones with purchasing power. The slogan on the homepage of the Knewton website shows clearly who the real audience is: ‘Every education leader needs an adaptive learning infrastructure’. Education leaders, who are more likely these days to come from the world of business and finance than the world of education, are currently very focused on two closely interrelated topics: the need for greater productivity and accountability, and the role of technology. They generally share the assumption of other leaders in the World Economic Forum that ICT is the key to the former and ‘the key to a better tomorrow’ (Spring, Education Networks, 2012, p.52). ‘We’re at an important transition point,’ said Arne Duncan, the U.S. Secretary of Education in 2010, ‘we’re getting ready to move from a predominantly print-based classroom to a digital learning environment’ (quoted by Spring, 2012, p.58). Later in the speech, which was delivered at the time as the release of the new National Education Technology Plan, Duncan said ‘just as technology has increased productivity in the business world, it is an essential tool to help boost educational productivity’. The plan outlines how this increased productivity could be achieved: we must start ‘with being clear about the learning outcomes we expect from the investments we make’ (Office of Educational Technology, Transforming American Education: Learning Powered by Technology, U.S. Department of Education, 2010). The greater part of the plan is devoted to discussion of learning outcomes and assessment of them. Learning outcomes (and their assessment) are also at the heart of ‘Asking More: the Path to Efficacy’ (Barber and Rizvi (eds), Asking More: the Path to Efficacy Pearson, 2013), Pearson’s blueprint for the future of education. According to John Fallon, the CEO of Pearson, ‘our focus should unfalteringly be on honing and improving the learning outcomes we deliver’ (Barber and Rizvi, 2013, p.3). ‘High quality learning’ is associated with ‘a relentless focus on outcomes’ (ibid, p.3) and words like ‘measuring / measurable’, ‘data’ and ‘investment’ are almost as salient as ‘outcomes’. A ‘sister’ publication, edited by the same team, is entitled ‘The Incomplete Guide to Delivering Learning Outcomes’ (Barber and Rizvi (eds), Pearson, 2013) and explores further Pearson’s ambition to ‘become the world’s leading education company’ and to ‘deliver learning outcomes’. It is no surprise that words like ‘outcomes’, ‘data’ and ‘measure’ feature equally prominently in the language of adaptive software companies like Knewton (see, for example, the quotation from Jose Ferreira, CEO of Knewton, in an earlier post). Adaptive software is premised on the establishment and measurement of clearly defined learning outcomes. If measurable learning outcomes are what you’re after, it’s hard to imagine a better path to follow than adaptive software. If your priorities include standards and assessment, it is again hard to imagine an easier path to follow than adaptive software, which was used in testing long before its introduction into instruction. As David Kuntz, VP of research at Knewton and, before that, a pioneer of algorithms in the design of tests, points out, ‘when a student takes a course powered by Knewton, we are continuously evaluating their performance, what others have done with that material before, and what [they] know’. Knewton’s claim that every education leader needs an adaptive learning infrastructure has a powerful internal logic. ‘Adapt or die’ (a phrase originally coined by the last prime minister of apartheid South Africa) is a piece of advice that is often given these days to both educational institutions and publishers. British universities must adapt or die, according to Michael Barber, author of ‘An Avalanche is Coming’ (a report commissioned by the British Institute for Public Policy Research), Chief Education Advisor to Pearson, and editor of the Pearson ‘Efficacy’ document (see above). ELT publishers ‘must change or die’, reported the eltjam blog, and it is a message that is frequently repeated elsewhere. The move towards adaptive learning is seen increasingly often as one of the necessary adaptations for both these sectors. The problems facing universities in countries like the U.K. are acute. Basically, as the introduction to ‘An Avalanche is Coming’ puts it, ‘the traditional university is being unbundled’. There are a number of reasons for this including the rising cost of higher education provision, greater global competition for the same students, funding squeezes from central governments, and competition from new educational providers (such as MOOCs). Unsurprisingly, universities (supported by national governments) have turned to technology, especially online course delivery, as an answer to their problems. There are two main reasons for this. Firstly, universities have attempted to reduce operating costs by looking for increases in scale (through mergers, transnational partnerships, international branch campuses and so on). Mega-universities are growing, and there are thirty-three in Asia alone (Selwyn Education in a Digital World New York: Routledge 2013, p.6). Universities like the Turkish Anadolu University, with over one million students, are no longer exceptional in terms of scale. 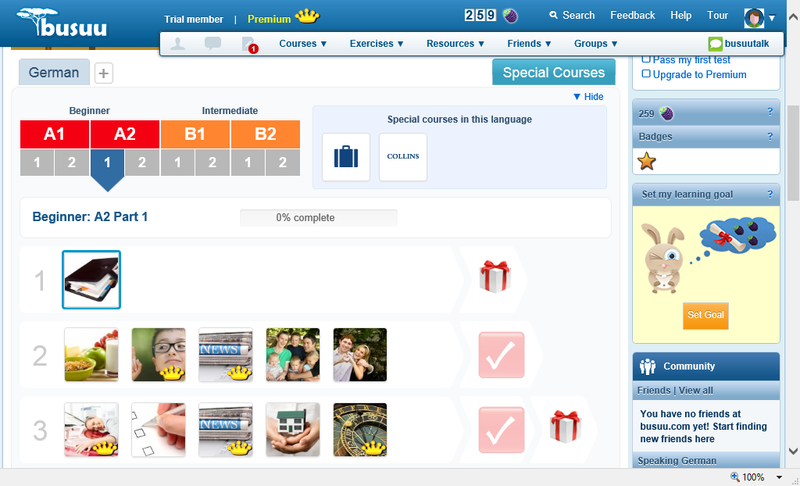 In this world, online educational provision is a key element. Secondly, and not to put too fine a point on it, online instruction is cheaper (Spring, Education Networks 2012, p.2). Although the initial development costs of building a suitable learning platform with adaptive capabilities are high, publishers will subsequently be able to produce and modify content (i.e. learning materials) much more efficiently. Since content will be mashed up and delivered in many different ways, author royalties will be cut or eliminated. Production and distribution costs will be much lower, and sales and marketing efforts can be directed more efficiently towards the most significant customers. The days of ELT sales reps trying unsuccessfully to get an interview with the director of studies of a small language school or university department are becoming a thing of the past. As with the universities, scale will be everything.